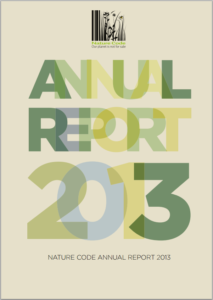 2013 was another busy and eventful year for Nature Code and Carbon Market Watch. With new developments in international carbon markets continuing to flow thick and fast, we paused only briefly to celebrate our official launch in July before getting our noses back to the grindstone! Despite plummeting carbon prices, plans for emissions trading and crediting schemes continued to gather apace. The world’s most developed carbon market, the EU Emissions Trading Scheme (EU ETS), still bedeviled by massive oversupply of allowances, was the focus of attention throu­ghout the year as legislators debated ways of cutting the surplus, both through the temporary fix of “backloading” and long-term structural measures. Throughout the year, European policymakers debated plans to postpone the auctioning of 900 million EU ETS allowances until 2019-2020 to allow demand to pick up in the short-term but, sadly, this temporary fix will do nothing to resolve the huge structural flaws in the overarching framework. In international talks, the EU also bowed to pressure from the aviation lobby to give airlines an easy ride by upholding an exemption from the EU ETS for intercontinental air travel. But there was good news as well. In 2013, investor interest in funding coal power through the UN Clean Development Mechanism (CDM) continued to shrivel. Our international network expanded to welcome new members from Papua New Guinea and Taiwan, bringing our global presence to 70 countries. 2015 is the date on everyone’s minds now, as we look ahead to the conclusion of a global deal on a new climate regime post-2020. Will the new agreement mean business-as-usual or herald a novel and exciting chapter in the international community’s attempts to rein in dangerous man-made climate change? Will countries agree to take on binding and genuinely ambitious emissions re­duction targets or stick with the increasingly unsafe status quo? These are crucial questions with a significant bearing on the future of global carbon markets. As this report highlights, ambitious emissions reduction targets are a sine qua non condition for access to markets. As things currently stand, the global carbon market – such that it is – is an empty shell. Supply has far outpaced demand at both the regional and international level. It’s a moot point whether politicians will be able to rise to the challenge of fixing the mammoth flaws in the system so that the carbon market is able to achieve its core objective, which is to provide a tool for making cost-effective reductions in CO2 emissions on a planetary scale. The very real concerns that civil society organisations around the world continue to raise, both regarding environmental and social integrity as well as overall sustainable development are simply going unaddressed. With many countries unwavering in their determination to develop carbon markets, it is imperative that climate negotiators get it right.